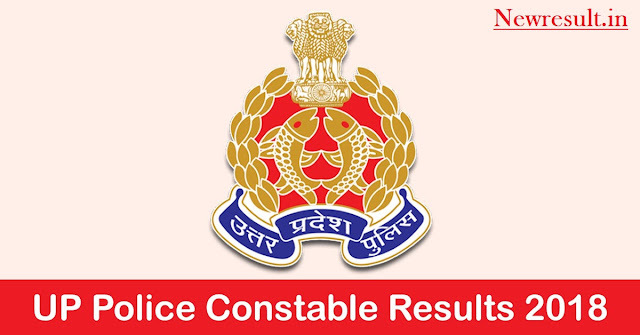 UP Police Constable Result 2018 –Cut Off (Announced) : Check your result soon! HomeUP Govt. JobsUP Police Constable Result 2018 –Cut Off (Announced) : Check your result soon! UP Police Constable Result 2018 – Candidates can check here UP Police Result 2018. 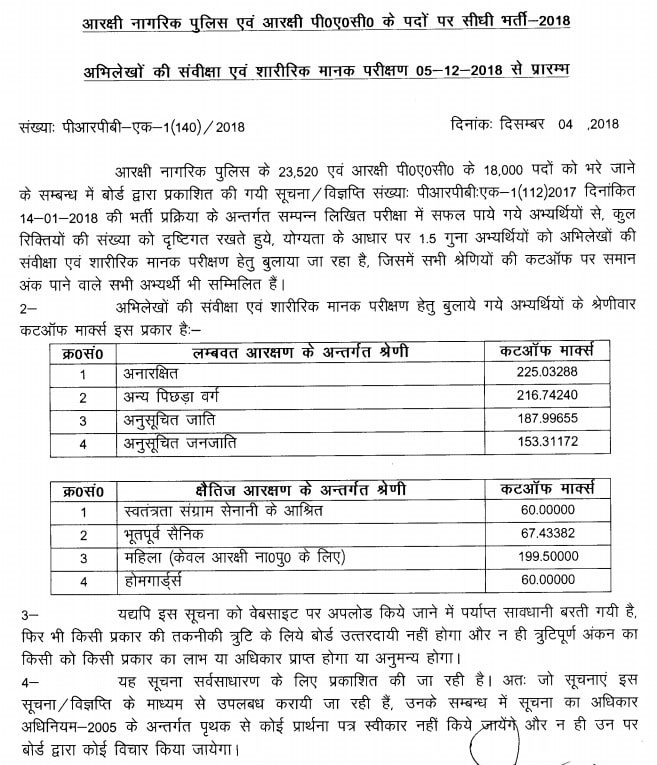 UPPRPB Lucknow has published Cut Off for UP Police 2018 for 41520 Constable Recruitment today, on December 04, 2018, at 8:30 PM. It is reported that UP Police Result 2018 is expected to be announced at 11 PM tonight. Notices regarding the declaration of the result and cut off are provided at the official website uppbpb.gov.in. The result for UP Police Bharti 2018 will be released in online mode. The candidates who have appeared in the examination conducted on October 25, 26 will be able to result. To check the result the candidates have to enter details such as Roll Number/ Registration Number, Date of Birth. The exam conducting will first announce the result of the written examination. Those who will qualify the written exam will then be eligible for document verification and physical efficiency test. Check more details regarding the UP Police 2018 Result in the table below. Latest : The UP Police Constable Re- Exam Cut Off is out. Result is expected to be declared at 11 PM. 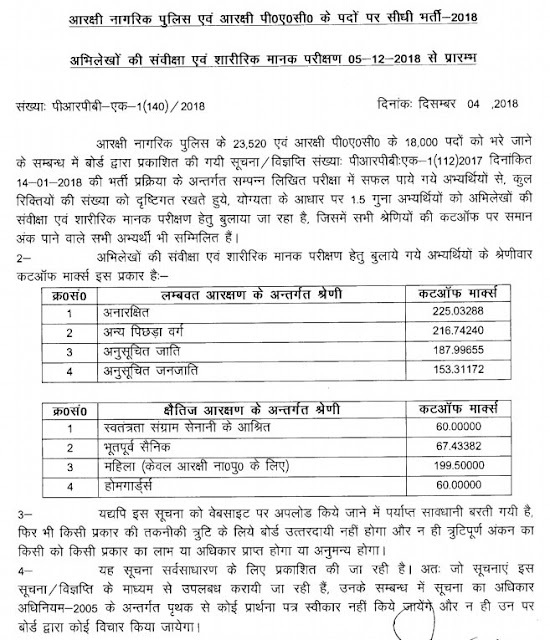 UP Police Recruitment Board hereby notifies that candidates had appeared in written exam for recruitment to 23520 + 18000 (41520) posts and as per recruitment rules, candidates equal to 1.5 times the number of vacancies are being qualified for physical efficiency test. Candidates can see schedule below. Candidates who have qualified as per result must attend PET. Check Result: Candidates can check result of UP Police Constable Recruitment 2018 at www.uppbpb.gov.in. As per result of written exam, candidates with following cut off marks have qualified. The cut off is the minimum marks which the candidate need to obtain in the test. The cut-off marks to qualify the written examination for UP Police 2018 will be decided by the Board. Those who will score less than the cut off marks shall not be allowed to proceed to the next stage of the recruitment process. It is expected that the candidate needs to score 35% or above in order to qualify the written examination.